Galatasaray sporting director Levent Nazifoğlu has confirmed that Manchester City have blocked a second loan move for highly-rated defender Jason Denayer. Speaking at a press conference this afternoon, Nazifoğlu claimed that Denayer had wanted to return to Istanbul on loan and was even waiting at the airport, but City would not allow it. City Watch exclusively revealed on Monday that Pep Guardiola wanted to keep Denayer at the club this summer, but the player and his entourage have been pushing for a loan move. 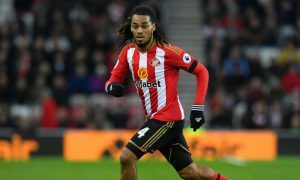 It is reported that Sunderland are still trying to convince City to loan Denayer out for a year of Premier League experience before the transfer window shuts. Nazifoğlu said there ‘is a lion in Manchester’, referring to Galatasaray’s Aslanlar (The Lions) nickname, and suggested that Turkish side will try again for 21-year-old Denayer in January. For now, we await to see what role the Belgian international will play, should he remain at City this season. Despite the imminent departure of Eliaquim Mangala, Denayer will still have Vincent Kompany, John Stones, Nicolás Otamendi and Aleksandar Kolarov to compete with for a role at centre-back – unless Pep decides to use him in a different position, which is quite possible.